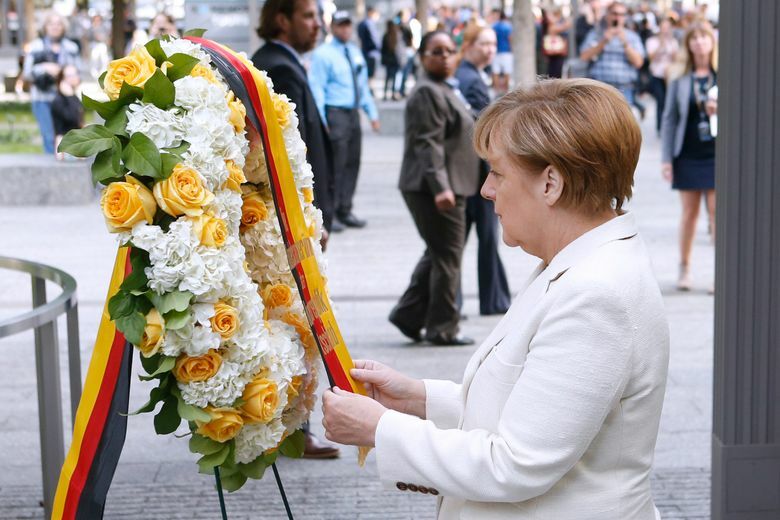 NEW YORK (AP) — Germany Chancellor Angela Merkel tells officials she plans to fly a World Trade Center memorial flag at the German Chancellery in honor of the 37 police officers with the Port Authority of New York and New Jersey who died in the 9/11 terrorist attacks. 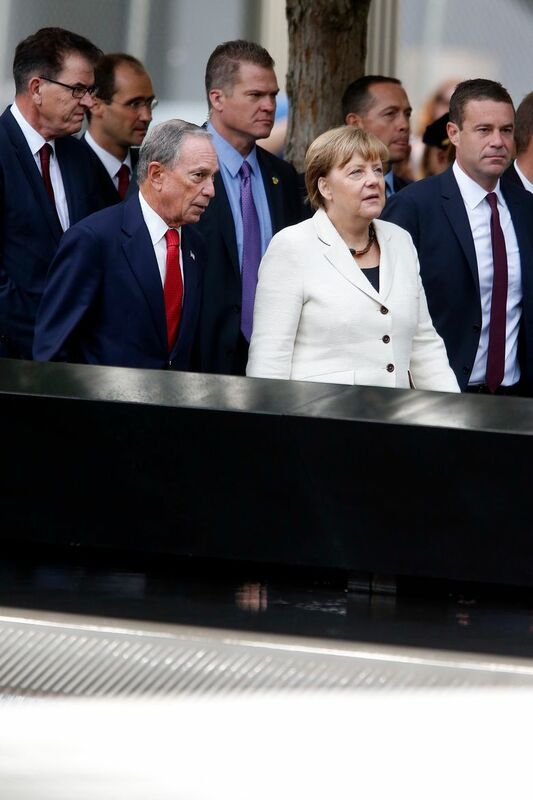 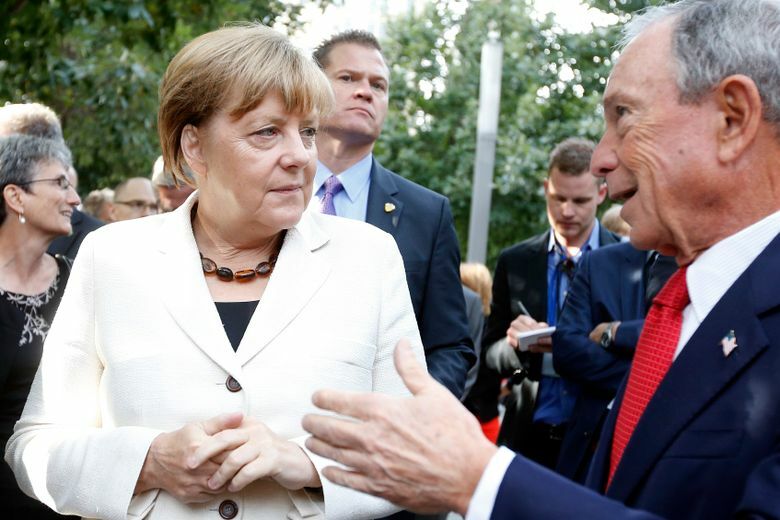 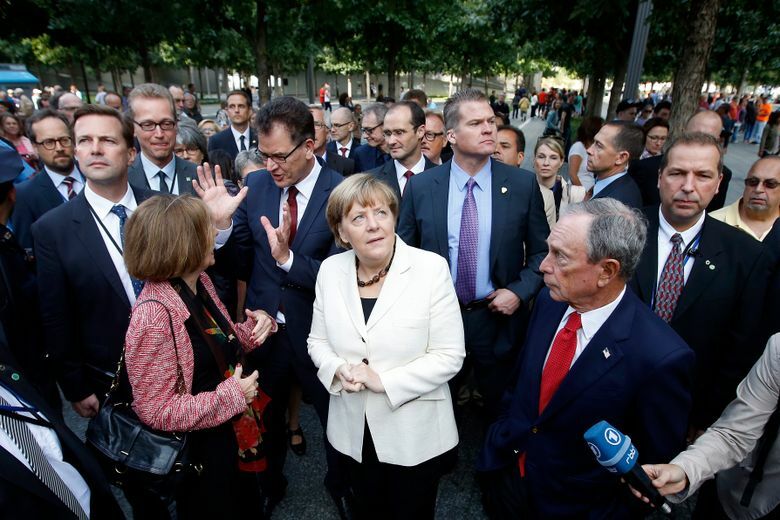 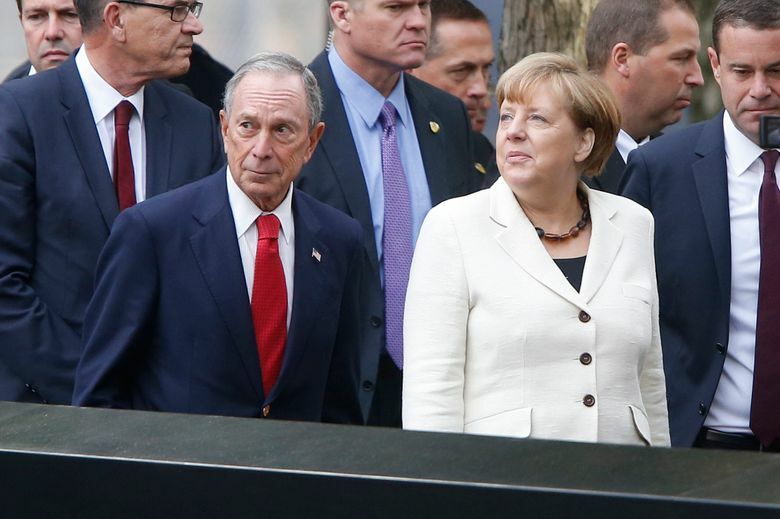 Port Authority police spokesman Joe Pentangelo (pehn-TAN’-jeh-loh) says Merkel visited the 9/11 memorial site at the World Trade Center on Saturday. 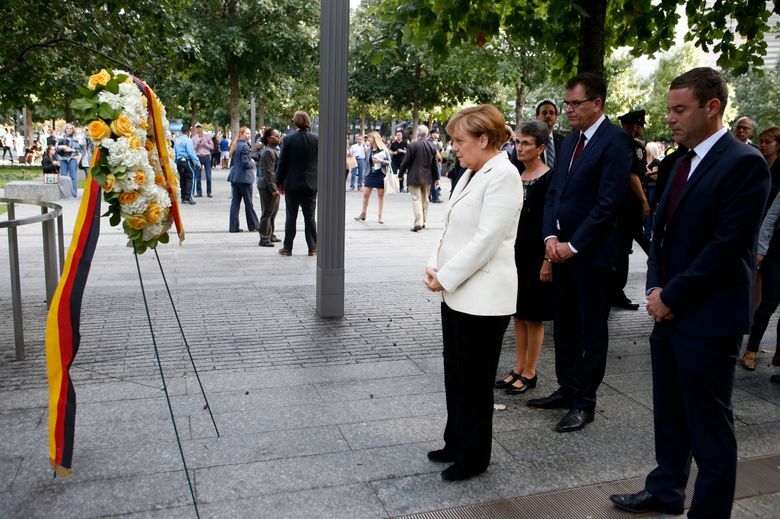 Inspector Ron Shindel, who speaks German, greeted Merkel and presented her with the World Trade Center memorial flag and a police challenge coin. 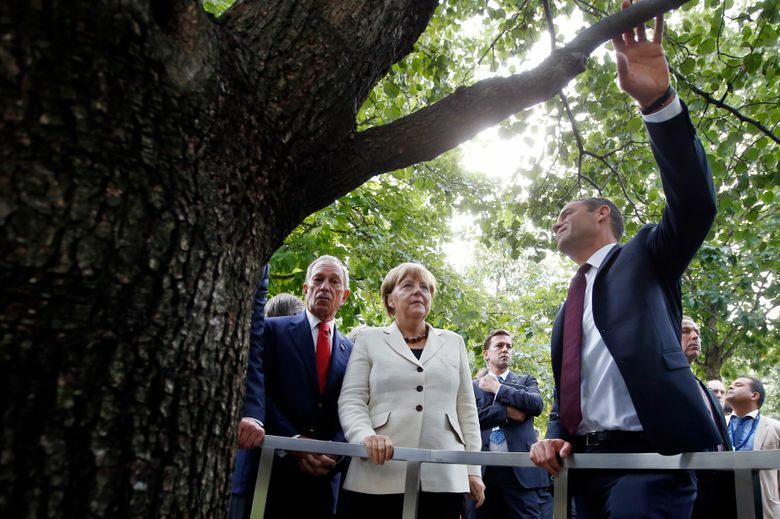 Merkel told police officials she plans to fly the flag at the chancellery, which is home to Germany’s federal government. 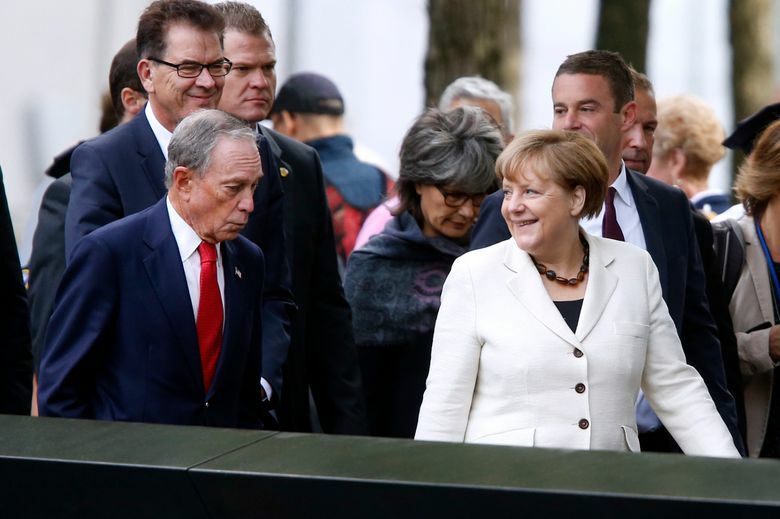 A spokesman for the Permanent Mission of Germany to the United Nations didn’t immediately respond to a message seeking comment.